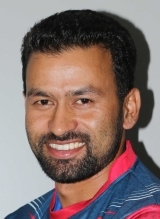 As Nepal Cricket Team is in its transitional phase as batting department needs a lot of transformation. 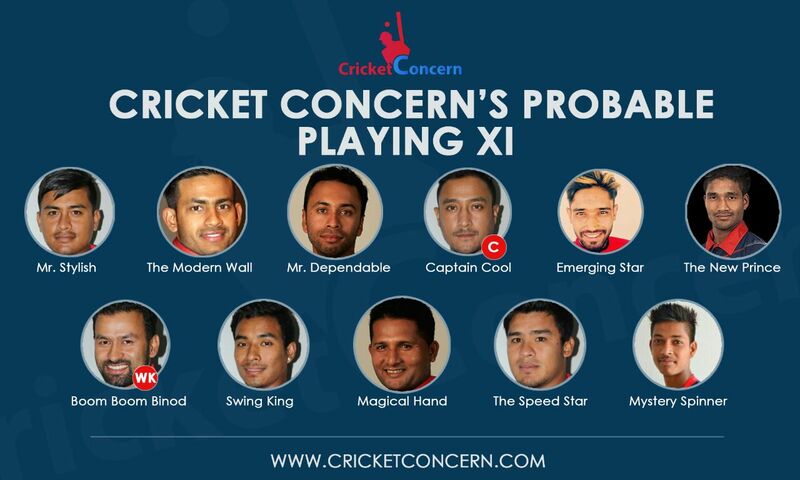 Today we would like to present you our possible playing XI which we think would help to balance the Nepal’s side. Despite having plenty number of an all-rounder on the side, Nepal used to take on to the field with five genuine bowlers so here we tried to improve the depth of Nepal’s batting line up. 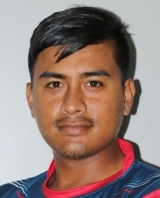 Gyanendra Malla is our first choice opener of the side. 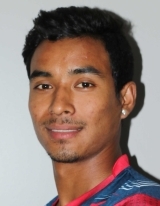 His experience and class are what Nepal’s opening slot demands at the moment. The upright stance, the classical defense, the compact nature, and the explosive strokeplay when it comes to smashing the ball to the leg-side set him apart from his contemporaries. He mixed physical power with wristy elegance. He has a decent average of 33.5 in list A cricket. His 91* vs Kenya in Pepsi ICC WCL division two is probably is memorable inning till now. But there is one long run issue with Malla. There are so many variables in cricket that are completely out of a batsman’s control. Apart from them, many batsmen get themselves out after getting the start though it is no one’s fault their own. Gyanendra Malla is also one among these many batsmen. Nothing is more frustrating than throwing away a start. He will be most key player of the side if he begins to convert his start. Aarif Sheikh is a right handed batsman, with a good defense and patient mindset that mark him out as unusual in this era of Twenty20 attacking batsmanship. His recent performance helped him to be in our possible playing XI. He is undoubtedly a permanent member of the side. 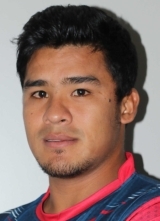 His consistency over the period of time is plus point for Nepal but again he too failed to convert his start. He must start to score that daddy runs in order to uplift the standard of Nepal’s batting. 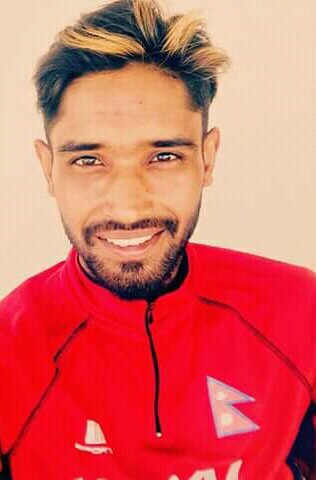 A true leader, source of inspiration or one of the best product of Nepal’s cricket scenario are some of the adjectives which we used to use on him. He has already taken the team to another level and journey from this level to another level seems possible only in the presence of him at the moment. 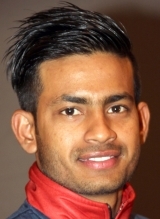 An orthodox right-handed batsman who loves to express himself and he likes to hit a big shot. He is in good form in this winter season as his successful Youth Asia Cup just ended up. This is very crucial no. to bat on. No matter how good top order perform, the team will lose matches if their no.5, 6, 7 fail to finishes the things off. We really believe that he is the best course of a solution of Nepal finishers problems. Picked him as No.6 batsman and stick with him for minimum one year, I’m sure he will win you many matches. Its high time to give him chance to prove that he belongs to filling the problematic position. Many fans used to troll him and selectors for putting him in the side despite continuous failure over the year. But there is insufficient wicketkeeper in the nation at the moment. The team just tried with Dilip Nath but he too failed to make the opportunity count. He is someone who loves to get going from the first ball itself so no.7 must be the ideal position for him. He didn’t use to get the situation which love often. 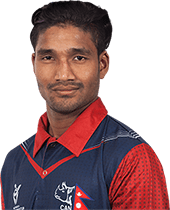 Sompal Kami is the most fierce bowler in the nation. Pace, movement, variations and a mean bouncer, he is a batsman’s ultimate nightmare. Kami’s biggest strength is that he finds a way to pick wickets, whatever the conditions are. 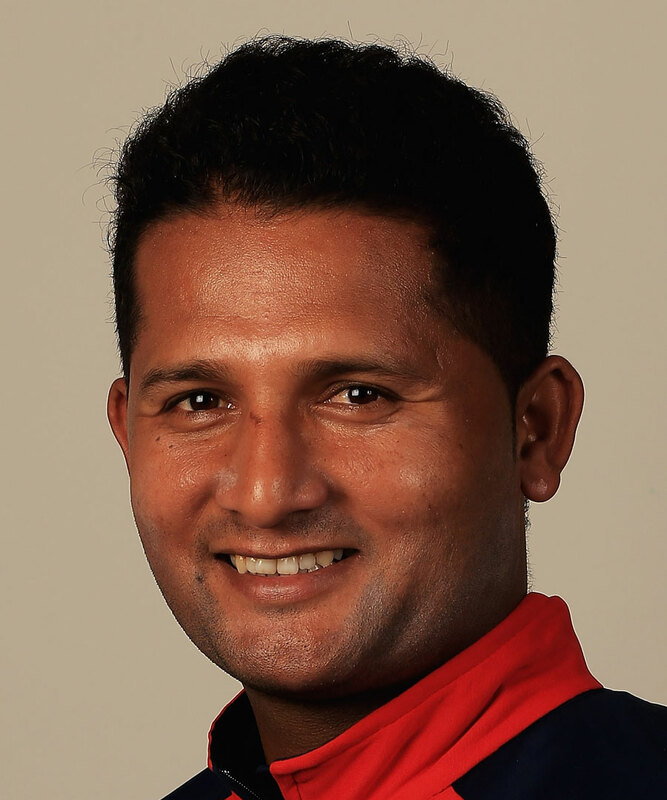 He is surely a spearhead of Nepal’s bowling line up. His batting ability is surely a plus point for the team. They say wine gets better with age. Basant Regmi fits that saying perfectly. 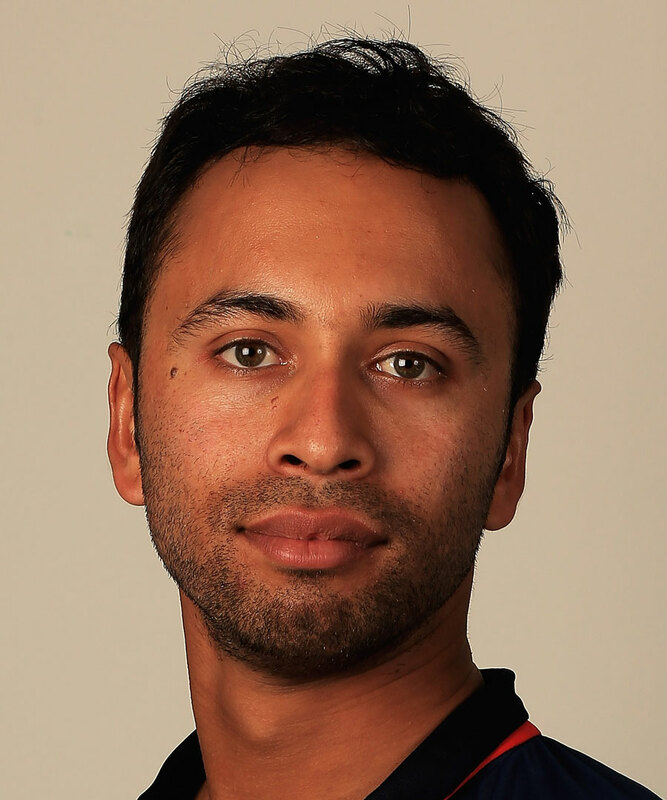 He has been a frontline spinner for Nepal since over the years and he can carry on that for at least four more years. Erratic. Inconsistent. Over-rated. These are adjectives one often comes across while hearing others describe Karan KC. But, when he gets it right, watching Karan bowl is an exhilarating experience. The Karan of now, after making a comeback, is a much sharper bowler, and he’s added a good deal of pace to what we saw before with the assistance of good planning and good captaincy. 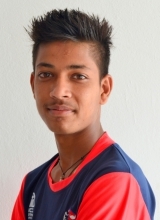 The bold and bountiful are the perfect word to describe Sandeep Lamichhane. Wheather it is U19 level matches or senior team matches, he used to be the most watchable players nowadays. 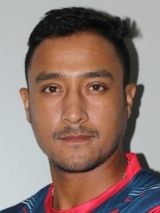 Despite four wickets in practice matches, Lalit Singh Bhandari failed to make it to our possible playing XI because bowling has never been an issue for Nepal. The bowling department is packed and tight so he needs to be on the waiting list for some period of time. Exclusion of Shakti Gauchan has been a tough task to do for us as he has been serving Nepal for a long period of time. We excluded him to add the batting depth of Nepal which has been a very deep issue of Nepal’s cricket team. Nepal Won by 4 wickets against Singapore.